It's an interesting time for wargamers. DBMM, written by Phil Barker one half of the team that brought you DBM, has been out for six months or so and the first revised army list has just been released. Richard Bodley Scott, the other half of the DBM team, has his latest project well under way. Richard is part of the team writing Field of Glory. Published by Osprey it's due to be released in February next year along with the various army lists. The good news is that right now the books are available at considerable advance discounts. I've been playing DBMM as its the only one freely available. 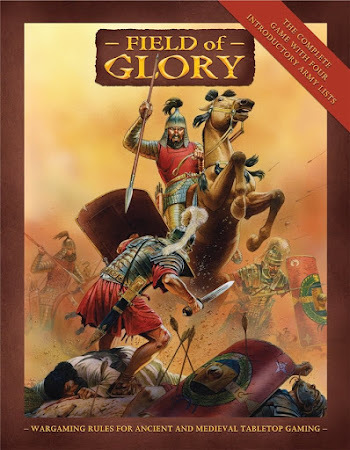 I look forward to trying Field of Glory next year. Until then I'm reserving judgement. The interesting thing is whether either set will match the popularity of DBM in all its incarnations. I suppose its too early to tell. No doubt the internet forums will be busy. I just hope that a schism doesn't develop. The last thing anybody wants is to put people off.